A few weeks ago, I had the pleasure of dancing with Savannah Danse Theatre in their production of Sleeping Beauty. This was my first appearance back on stage since December of 2010. So I thought I would keep a journal while I was in Savannah for the entire week before the show. When you are dancing with a ballet company and you are in performance week, things can get a bit crazy with rehearsals to appearances on local TV stations promoting the show, etc. so its super important to make sure that you are fueling your body correctly for a spectacular performance(s) at the end of the week. Even more so for me, I had to make sure I always have some sort of snack with me for 2 reasons: 1. )I have celiac disease 2.) I’m always eating, I eat at least every 2 hours otherwise, my energy level drops, I start to get a bit of a headache and well yea it just doesn’t end well. Monday: Rehearsal: Full Run through: a few times. Thursday: Rehearsal/ then Dress rehearsal 10:30pm finish time. So I knew going into this it was going to be a long week, but I was totally ready for it, I thought. A few weeks before the show there had been some discussions at rehearsal between some of us professional dancers and the director of the company about the food backstage. We were discussing the fact that we needed the proper food available to us during rehearsals and on breaks to keep us fueled for performance and make sure it was not high in sugar, preservatives, etc because let’s face it, we were in pink tights and tutu’s- no body has time to be bloated and have a sugar high. In mine and some of the other dancers experience with freelance dancing for difference companies one of the things that we noticed and talked about at multiple rehearsals was that the food backstage wasn’t exactly appropriate for dancers to be eating while rehearsing for hours and then having to perform. So another dancer and myself took it upon ourselves to handle the food for the days that we were in the theater. We were fortunate enough to have some of the food that was made specifically for us as I made recommendations to Joe’s Homemade Cafe and Thrive Cafe to ensure that it was gluten free, soy free and high protein, complex carbohydrate, etc. foods that would be slow burning, anti-bloating, etc so we could eat and go on with rehearsal or performances. Below are a few pictures of the lovely food that we had backstage. Unfortunately I did not get a change to capture the food prepared by Thrive Cafe but it was a lovely organic quinoa spinach salad with tuna salad, large bowls of mixed organic fruit and gluten free crackers that I provided. As a dancer eating food that makes me bloated, causes gas or makes my blood sugar and energy crash shortly after eating is really not the best option before rehearsals and performance. I prepared fresh fruit and vegetable juice the day before I was going to travel to Savannah: I am a fan of using fresh fruit and vegetable juice as a supplement to what I am eating during the day. In my book, you can never over dose on too many fruits and vegetables. I like to juice a few times a week just to get that extra punch of nutrients straight from the juice of fruits and vegetables. Fuel for dancing supplements: Vega One Nutritional shake, Vega Sport Pre-Workout Energizer, Vega Sport Recovery Protein, Barre Bar. Barre Bar’s are one of my new favorite bars to have before ballet class or even just a Pilates or yoga class. They are real food, and pure fuel for workouts. They are even a great snack for just a busy on the go lifestyle. These things are always in my dance bag just in case. Starting with rehearsal on Monday night with all of us professional dancers in town and at rehearsal for really the first time having ALL of us there, I knew it was going to be a long night. So I basically snacked on small meals all day that contained walnuts, apples, quinoa, spinach, a fruit smoothie, more almonds and walnuts, raisins, among other things. I also made sure I was drinking water throughout the day because I sweat in rehearsal and class like no body has ever sweat before. I have to bring another leotard with me most of the time to change because I sweat that much. I have always been that way. So it’s super important for me to really hydrate properly all the time. When I first started rehearsing for Sleeping Beauty in January I was experiencing a little bit of muscle cramping during class and rehearsals so I knew I needed to step up my nutrition game. I looked into many electrolyte supplements to add to my water for those moments. Being a dietitian I am pretty picky about products, it takes me a little bit to research and then try a few to see which one will work best for my body. Well, luckily I found Vega one. Vega also has a line called Vega sport which I am really a fan of as well. Their per-energizing workout electrolyte blend is perfect for fueling before ballet class and again before rehearsals. They also make a recovery powder that I really enjoy as well. This is really the first brand of performance supplements that have not caused my GI distress. Having a pretty sensitive gut, I was super excited about having these! I used them everyday and noticed that my I was not cramping during class or rehearsal and when I drank the recovery shake after rehearsals my muscles were not nearly as sore. Now I will say, those supplements were not the only things that I ate before and after rehearsal. As a dietitian I like to practice what I preach so I made sure I was also eating a snack before I went to class/rehearsal as well as having snacks during rehearsals is a must as well. Here is one of my favorite snacks to have during rehearsal. My Dad’s apple salad: apples, walnuts, pecans and raisins… Simple, yet nutritious and delicious. 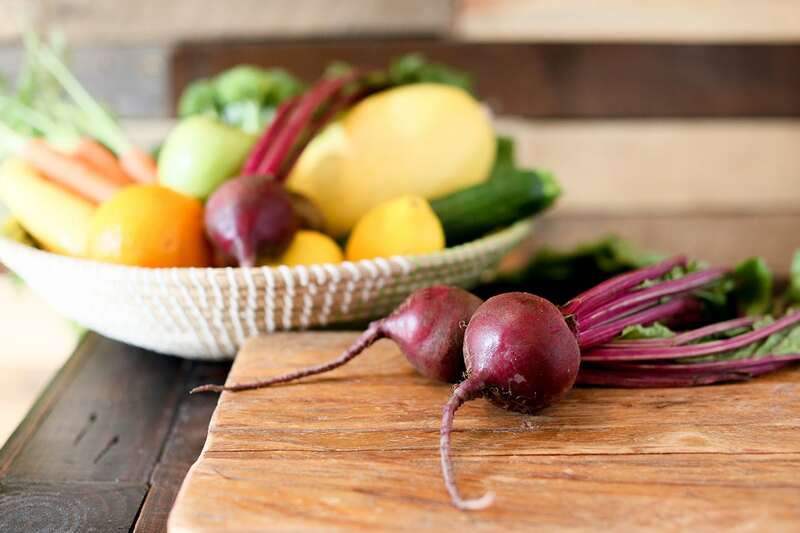 The combination of these ingredients provides a great source of protein, fiber, vitamins A,E, B vitamins, iron, magnesium, calcium, omega 3 fatty acids, and zinc to name a few. This combination is great for dancers and athletes as this combination is great for providing muscles with anti inflammatory omega 3’s and protein for proper recovery. Another great advantage is that it does not cause bloating or the feeling of being too full. This is something that myself as well as my clients who are dancers are concerned with as we have to be in leotards and tights all day and lets face it, its really not that comfortable to be bloated and too full while trying to dance. My favorite snack during rehearsal. Apples, walnuts, pecans, raisins. As the week went on, I found myself busy with promo’s on local TV channels, last minute extra rehearsals during the day before larger rehearsals in the evening and running last minute errands to prepare for the shows that were to begin on Friday morning bright and early. Needless to say it was a very busy week, but that’s how performance weeks usually go! I had a great time promoting the show on local TV with a fellow dancer but it made for a long day as I traveled to Hilton Head to rehearse with my partner to work out the kinks that normally happen when you have not really rehearsed with your partner but only a few days before the show. In the end it always turns out great, but during the week of the show it can be mentally exhausting. I have to say, doing promo’s on local TV is always interesting because a morning show like this one, they have 3 or 4 guests on during the show and interview each one for a certain amount of time. All of the guests that are on the show have to be in the production room to be ready to get mic’d up, well there was a guy there from the Monster Truck show that was in town the same weekend we were performing…. He went on the show talking about how there were going to be “wrestling midgets” on the show, that was his line to get people to come out and see the monster trucks. I have no idea why but I just couldn’t stop laughing the whole time he was on the show doing his interview ( I was sitting on the sidelines at that point so I was safe) but really, you never know what you are going to walk into in this industry… there is never a dull moment. I just had to share that experience in there, it made the morning show experience that much sweeter! HA! At this point, it was 3 days into long nights at the studio, costume fittings until late, soaking my feet and prepping my body for the next day. As the week went on getting home at 11pm was an adjustment for me as I would come home keyed up, still edgy from rehearsal and hungry which is pretty standard when you are a dancer: late nights, late meals, early mornings, little time to eat and relax. I grabbed a snack when I got home, consisted of gluten free whole grain bread, almond butter, water, fruit, and whatever food my mom had made for me while I was gone. I stayed at my parents house the whole week as I am originally from Savannah and my family still lives there so it was really nice to have my mom prepare small meals for me so I did not have to worry. I did not take pictures of the meals, I should have but one example of a meal that she made for me was quinoa noodles ( good source of carbohydrate and protein) and turkey meatballs made with quinoa instead of bread crumbs with a little tomato sauce, and of course I made my ginger/ relaxed mind tea. This is another one of my favorite wind down things to have at night. Hot sage/ginger tea helps my mind and body relax and settle down for the evening. For some reason that meal sticks out in my head because it was one of the later nights that I had gotten home from rehearsal, my feet were bleeding from new pointe shoes, my muscles were sore, I was tired but that meal was so good. After that meal, even though it was late, I still had some work to do finishing sewing new pointe shoes, re packing my ballet bag for the theater as we had 2 shows the next day. We had been in the theater for a few days before the first show and I was reminded of how dancing on a hard stage wrecks your body. One of the things that I had not missed was dancing on hard stages. My variation had a good amount of jumping, so after coming off of about a 9month hiatus from dancing, 3 months was enough time for me to get myself back into shape, but I was not ready for what the hard stage would do to me during that week. Frozen peas and corn were my friends. We had a few schools shows and public shows to do starting on Thursday morning call was @ 7:30am, it really should be illegal to have to be at the theater that early! HA! The first show was at 9:30am, thank goodness half of those kids that came to the show were still slightly sleep because there is always one show, usually the first one that you get to work all of the kinks out. Yes, dress rehearsal is usually what that is for, but in the dance world, dress rehearsal is usually a disaster and you never get to run through the whole show without stopping. So this first show was quite comical. Once we worked the kinks out, we were on a roll and the rest of the shows went well… but this is where I spent my time in between my entrances and shows of sleeping beauty, snacking on either my barre bars or apple salad. In between shows it was really important that I eat something substantial so I could push through the next show, so in between I ate a granola bar from Joe’s homemade cafe and 1/2 cup of quinoa salad from Thrive. It was the perfect amount of food to get me through. After the show was over, which went much better than the first show, I was happy with how my variations went, I had tuna salad, quinoa spinach salad, 1 cup of fruit. About an hour after that I had a Vega one shake right before going into rehearsal. Yes… we had two shows and rehearsal all in one day. Welcome to my office. Feet up, booties on. perfect resting position. After that long day, my body felt okay but mentally I was exhausted. I finally left the theater that day around 5pm, went home and took a nap for about 2 hours, got up to eat some dinner, forgive me I am drawing a blank of what I ate that night I was so tired, then I took a shower and went straight to bed. Saturday was the final day of shows. I was well rested, and did not have to be at the theater until later in the afternoon so I enjoyed my breakfast and just relaxing that morning. Before heading to the theater I had a Vega shake, some fresh vegetable juice and a barre bar. Throughout the whole week I was drinking tons of water and fresh juice during the day and in between rehearsals, sometimes even during rehearsals if I had downtime. The final show on Saturday went well, my variation went well, I feel like I needed one more show because it wasn’t as clean as I would have liked it to be but, dancers are their own worst critics. I have been hesitant to show the video of my variation because of how I felt and its really not the best quality so it does not do it justice but I will share it on here, just part of what I did in the show. All and all it was a great experience for me to be able to dance again, dancing really balances me out, it fills that void that I felt when I took breaks off and on over the past few years but I am happy to say that I am taking class on a regular basis again and planning to perform here in Atlanta and even in Savannah for Nutcracker! I will try and keep a better log next time, but I thought this would make an interesting read. Being a dietitian, having celiac disease taking on performing again was something that I have been wanting to do. I work with dancers and athletes that are celiac, gluten intolerance or have other food sensitivities so I think this was a good thing for me to experience exactly what my clients experience, this gives me a better understanding of what they are going through on an everyday basis and what they really need to focus on nutritionally. I don’t just work with dancers and athletes with food sensitives and CD, I do work with others that have CD/ gluten intolerance/ food sensitivities as well. Having such a busy week and having to plan out my snacks and small meals ahead of time is something that people with food sensitives have to do on a regular basis so it was awesome for me to experience this first hand. I gained a better knowledge of what I should recommend to my clients. I say this was a win win for everyone! Take a look at some of these pictures and click —-> to see Savannah Danse Theatre Sleeping Beauty Jewels Variation video. Take Aways for my dancer readers: Eating breakfast is very important, fueling your body with proper foods is key to avoiding injuries, eating small meals and snacks throughout the day will NOT make you fat, its all about how you fuel your body and the timing of your meals. If you are looking to enhance your performance, become leaner, have more defined muscles, I would suggest talking to a dietitian who works with dancers, like myself, who can help you get on track. Fuel your body right, set the stage for an in tune YOU! This my friends is why I cannot stay away from performing…. Blood, sweat, frustration and tears—> totally worth this feeling!! You mean you need foods to sustain energy during exercise? Upgrade Your Plate! Inflammation Flighting Smoothie Ahh the wonderful benefits of juicing! 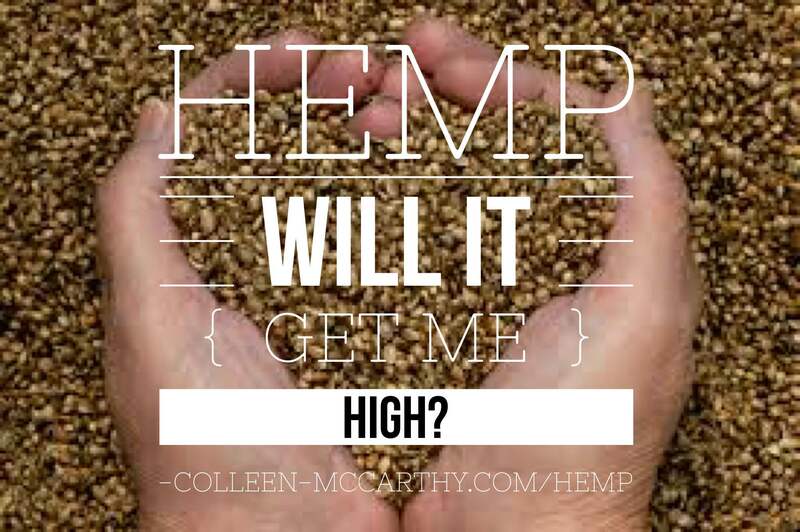 Hemp—Part 1 History and important questions you want to know!